The Nobel Prize in Chemistry is the most prestigious award given to chemists. This year Jacques Dubochet, Joachim Frank, and Richard Henderson won the prize for developing cryo-electron microscopy for the high-resolution structure determination of biomolecules in solution. 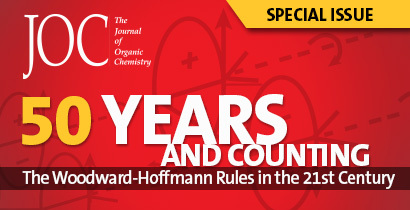 Did you know that many winners of this award have authored ACS book chapters? In honor of Nobel Week (December 6–12), check out these fun facts about the Nobel Prize in Chemistry and the laureates’ ties with ACS Books. To date, 178 laureates have won the Nobel Prize in Chemistry since the award began in 1901, and 37 of them have written one or more ACS book chapters in the ACS Symposium Series. These authors include the 2016 winners, Sir J. Fraser Stoddart, who contributed to the book Frontiers in Modern Carbohydrate Chemistry as well as 267 articles in ACS Journals, and Bernard L. “Ben” Feringa, who contributed to Methodologies in Asymmetric Catalysis in addition to 205 journal articles. What Research Fields Win the Nobel Prize in Chemistry Most Often? The most common research field for Nobel Laureates in Chemistry is biochemistry. The most recent former Laureates in the field are Martin Karplus, Michael Levitt, and Arieh Warshel, who won in 2013. Karplus has published in ACS Symposium Series Vol. 430 (Computer Modeling of Carbohydrate Molecules), Vol. 204 (Molecular-Based Study of Fluids), and Vol. 127 (Water in Polymers). Warshel has contributed to Vol. 721 (Transition State Modeling for Catalysis), Vol. 712 (Combined Quantum Mechanical and Molecular Mechanical Methods), and Vol. 568 (Structure and Reactivity in Aqueous Solution). Organic chemistry is the second most common research field for Nobel Laureates in Chemistry. Dr. Akira Suzuki, one of the Nobel Laureates in 2010, specializes in this subject and wrote a chapter in the book Organoboranes for Syntheses. The next most common research field to win the prize is physical chemistry. A shining example is Dr. William E. Moerner, who won in 2014 for the development of super-resolved fluorescence microscopy, which made tracking processes occurring inside living cells possible. Moerner is one of the authors of the article Applications of Organic Second-Order Nonlinear Optical Materials, which appeared in the book Materials for Nonlinear Optics. The chapter Sequence-Controlled Polymers by Ruthenium-Mediated Ring-Opening Metathesis Polymerization, published in 2014 in the ACS Symposium Series Sequence-Controlled Polymers: Synthesis, Self-Assembly, and Properties, is the latest publication from a Nobel Laureate, contributed by 2005 winner Robert H. Grubbs. Speaking of the most famous and influential Nobel Laureates in Chemistry, one cannot forget Dr. Linus Carl Pauling. He is the only person to win two undivided Nobel Prizes—one in Chemistry in 1954 and the other in Peace eight years later. He published the chapter Herman F. Mark and the Structure of Crystals, which appeared in the book Polymer Science Overview.